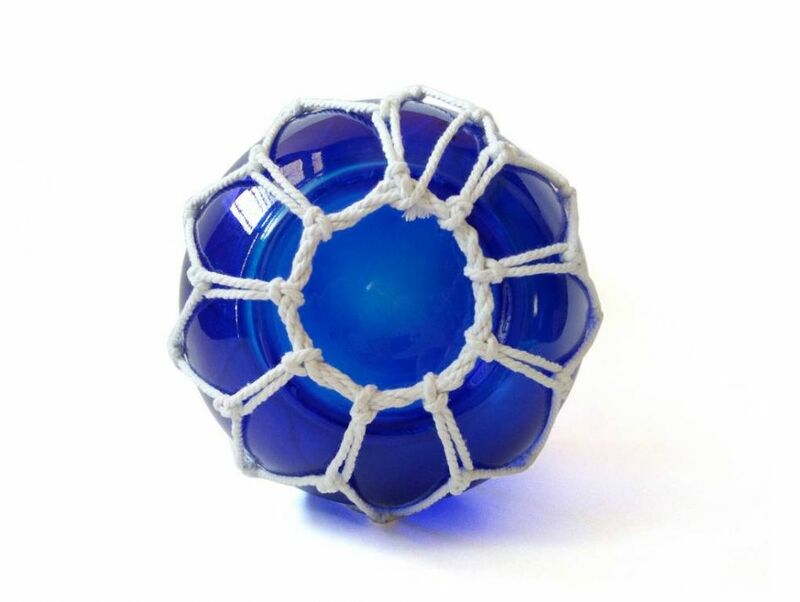 Dark Blue Japanese Glass Fishing Float Bowl with Decorative White Fish Netting 8"
A glowing modern recreation of a nautical and fishing classic inspired from a traditional Japanese glass fishing float! 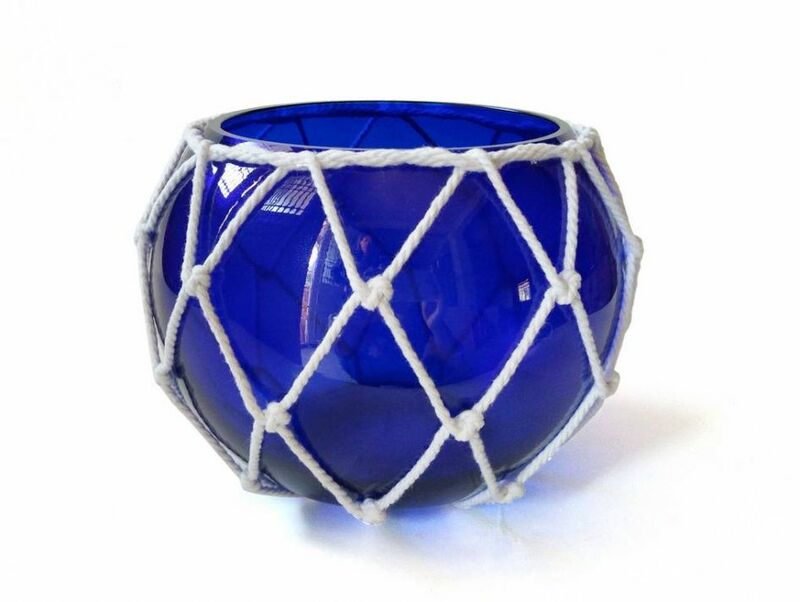 This Dark Blue Japanese Glass Fishing Float Bowl with Decorative White Fish Netting 8" is the perfect piece for a nautical themed kitchen or coffee table, gorgeous whether in your home or office. Enjoy the charming inner warmth as lights play through the glass bowl, perfectly contrasted with the authentic fishing rope holding it in place. 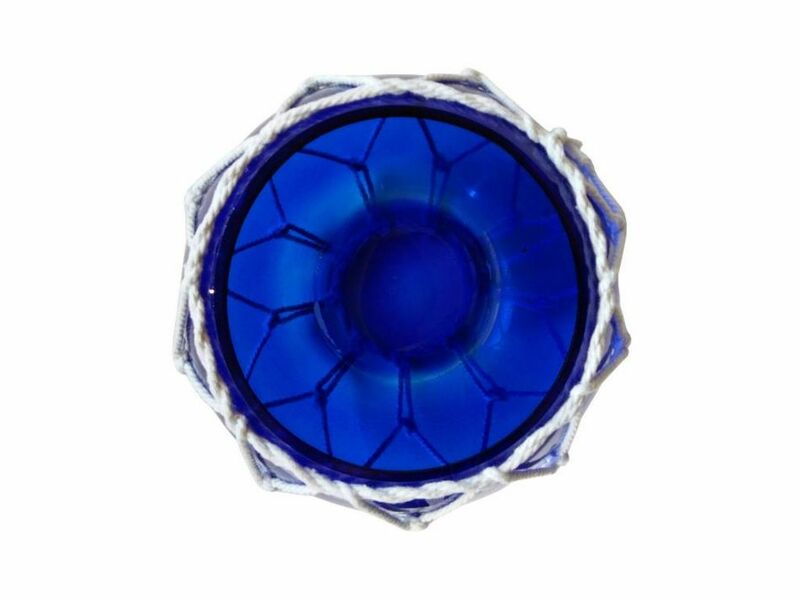 Mesmerizing and enchanting, enjoy the inspired historic wonder and brilliant style of this glass fishing float bowl each and every day.